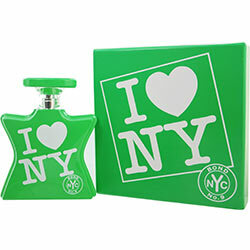 Men and women alike will want to wear I Love New York for Earth Day by Bond No. 9. Introduced in 2012, this great unisex fragrance has a little something for everyone. You'll love the delicate blend of floral, citrus, and woody aromas that give this scent a wonderful, natural fragrance. It features notes of tangerine, orchid, orange blossom, tuberose, amber, and sandalwood that create a smooth, green scent. Recommended for daytime use, this versatile fragrance will keep you feeling revitalized and smelling fresh.